Obesity is a huge problem in our country, pun intended. According to the Centers for Disease Control and Prevention, more than one third (37.9 percent) of adults aged 20 and over in the US are obese, which is defined as having a Body Mass Index of 30 or above. Obesity puts people at risk for a number of health problems, including high blood pressure, heart disease and stroke. One of the most common health conditions associated with obesity is diabetes, specifically Type 2 diabetes. These conditions are so intricately entwined that experts have coined the term “diabesity” to describe their relationship. Type 2 diabetes accounts for 95 percent of all cases of diabetes in the US, and more than 90 percent of people with the disorder are overweight or obese. Our bodies need energy to function, and they get that energy from the food we eat. During digestion, food is broken down into a sugar called glucose that travels through the bloodstream. Insulin, a hormone made by the pancreas, is like a key. It opens up your body’s cells to let the glucose enter to be used by the cells as fuel. Some people’s bodies don’t make enough, or any, insulin, or they don’t use insulin appropriately, and glucose remains in the blood instead of getting into the cells. When the glucose level in your blood is too high, you’ve got diabetes. High glucose levels can damage many parts of the body, including the eyes, heart, kidneys, nerves and feet. With Type 2 diabetes, your body does not make or use insulin properly. Its onset can occur at any time, but it most often starts when people are middle-aged or older. Many studies have demonstrated a link between obesity and diabetes, but just how diabesity occurs is complex and yet to be understood fully. What we do know is that people who are overweight or obese put added pressure on their bodies’ ability to use insulin properly to control glucose levels in their blood. This makes them more susceptible to developing diabetes. One way obesity may lead to diabetes is by triggering changes in your metabolism, the processes that occur in your body in order to function. It’s believed that these changes cause fat tissue to release fat molecules into the blood. The increased fat in the blood affects the cells that are responsive to insulin and reduces insulin sensitivity. Calorie-dense foods leads to increased fat accumulation, and calorie-dense diets are common with overweight individuals. When the body has to store excess fat and cannot properly control insulin levels in the blood, substances called free fatty acids are deposited in the liver, causing a condition known as fatty liver. Free fatty acids also move through the circulatory system causing reactions within other organs such as the pancreas, heart and muscles. This starts a vicious cycle of organ damage, inflammation, and deteriorating insulin resistance and insulin secretion from the pancreas. Where the fat accumulates on your body is also a factor in diabesity. If your fat is primarily located around your belly, which is a predictor of visceral fat that lies around your internal organs, you are at an increased risk for developing Type 2 diabetes. Like diets high in fat and carbohydrates, visceral fat is associated with worsening insulin resistance. It’s no surprise that major factors contributing to diabesity are chronic unhealthy behaviors, including eating a high-calorie diet and avoiding physical activity. We know weight loss has a beneficial effect on blood glucose control and fat metabolism, so lifestyle modification through changes in diet and exercise is generally the first diabesity management strategy. If you are also taking diabetes medications, your doses will have to be reviewed regularly, as they may need to be adjusted as you lose weight. In certain cases, weight loss medications may be used to assist those with diabesity achieve and sustain substantial weight reduction. For some people, a surgical weight loss option, such as a gastric band or bypass, is a good choice, especially if they’ve not achieved positive results with lifestyle modification and medication therapies. With 90 percent of people with Type 2 diabetes being overweight or obese, diabesity is expensive, too. More than one in five US health care dollars are spent on diabetes, about $245 billion. That doesn’t include the indirect costs of absenteeism, reduced work productivity, inability to work and lost workers due to premature death, accounting for another $68.6 billion. Because it can damage many organs and tissues, diabesity lowers quality of life as well. If you are overweight, especially if you notice any symptoms of diabetes, have your blood glucose level checked by your doctor. 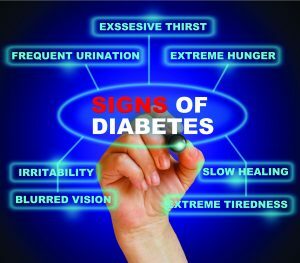 Type 2 diabetes doesn’t always have symptoms, but some of the possible symptoms include increased thirst, frequent urination, hunger, fatigue and blurred vision. 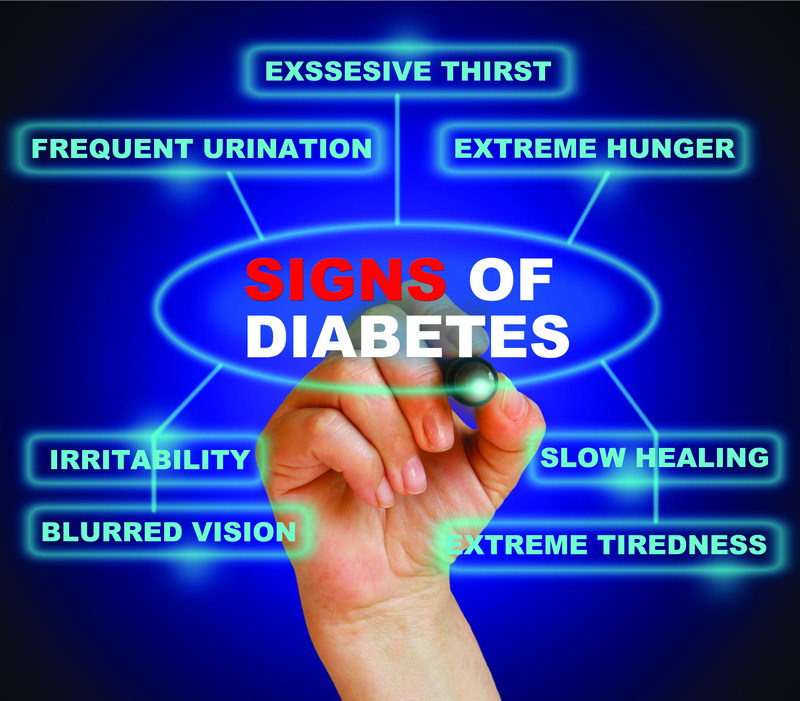 Don’t wait until diabesity damages your body, get tested today, and get on the road to weight loss and glucose control. And a healthier, higher quality of life!